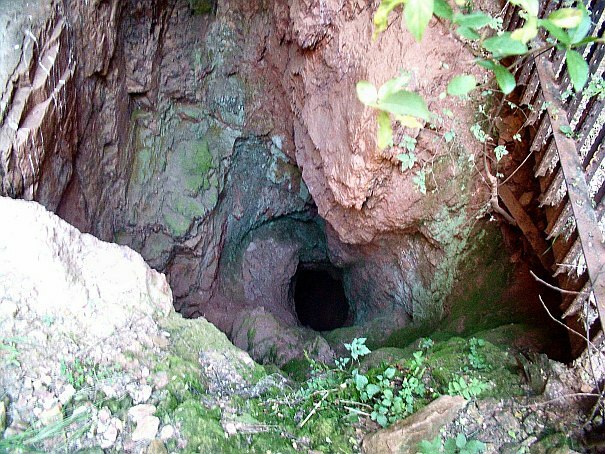 THE WORKED-OUT MINE SHAFTS INDICATE THE SITE WHERE ON 18 SEPTEMBER 1884 F. P. T. STRUBEN DISCOVERED THE FIRST PAYABLE GOLD ON THE WITWATERSRAND. HE CALLED THE AURIFEROUS QUARTZ VEIN, MINED BY HIM AND HIS BROTHER H. W. STRUBEN, CONFIDENCE REEF. 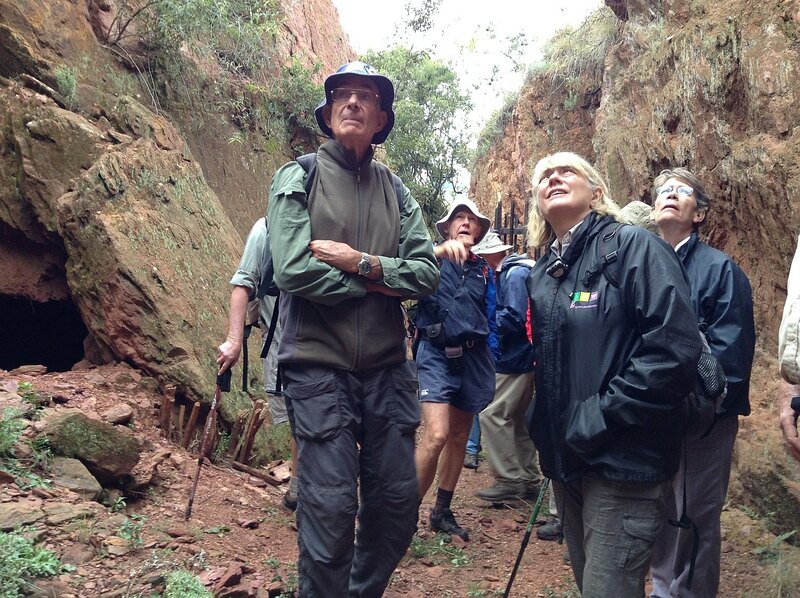 THE DISCOVERY LED TO THE RUSH OF PROSPECTORS TO THE AREA AND THE EVENTUAL DISCOVERY IN 1886 OF THE PREMIER AURIFEROUS ROCK OF THE WITWATERSRAND, NAMELY THE CONGLOMERATES OF THE MAIN REEF. In other words, it can be said that this "was the beginning of Joburg". 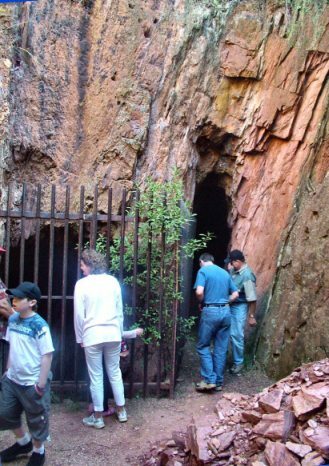 The mine enclosure is about 300m from the Kloofendal Amphitheatre. FroK takes mine walks monthly and by appointment. 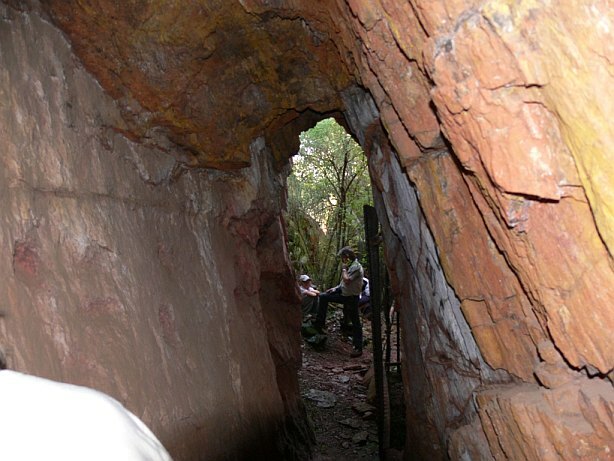 The mine is at the epicentre of dramatic structural geology. 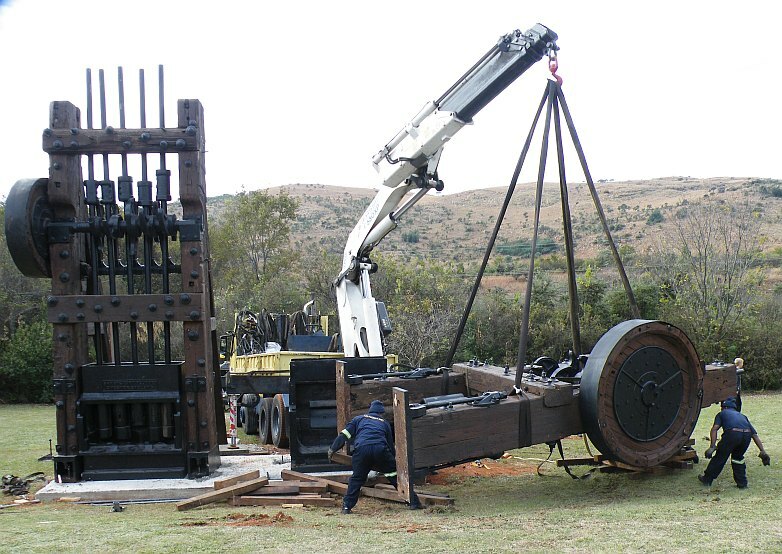 The Struben Stamp Mill (left) and another (right) were moved from Goldman Street, Florida, to the Reserve in May 2009 with permission from Johannesburg Arts, Culture & Heritage and the Johannesburg Mayoral Council. 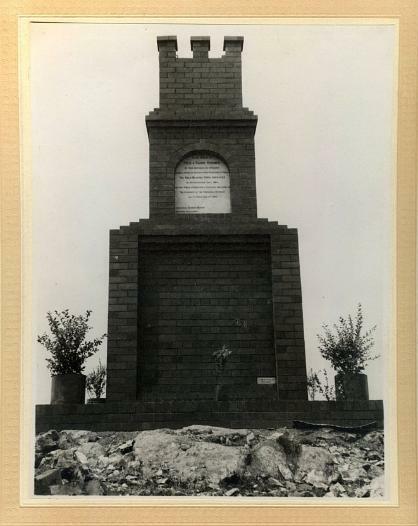 The plaque above is one of 129 on the Blue Plaque list of heritage sites, mostly in Johannesburg. The Friends of Kloofendal (FroK) would like to thank the following for making this fine display possible. 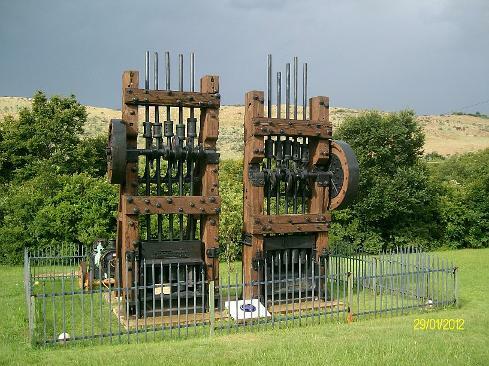 Vanguard Rigging (Kevin Joubert) kindly brought the stamp mill from Goldman Street, Florida, to Kloofendal free of charge. 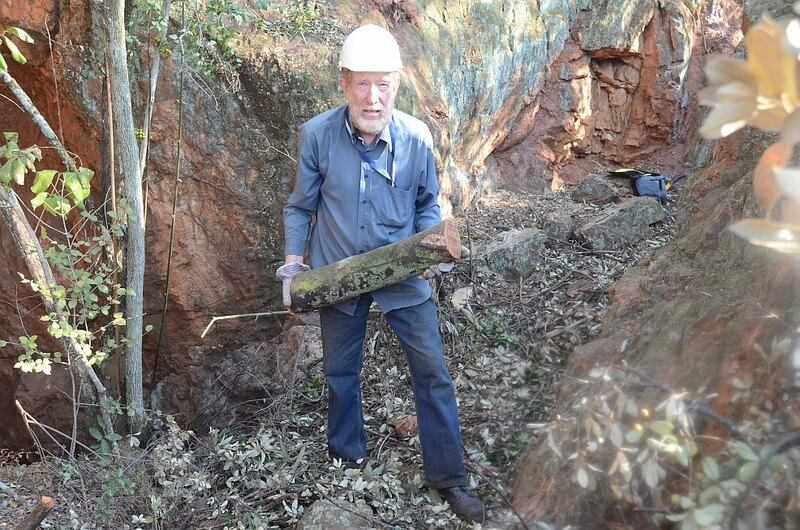 Shango Solutions donated funds for the foundations for the mill in Kloofendal. Johannesburg City Parks supplied and installed fencing around the Mills. 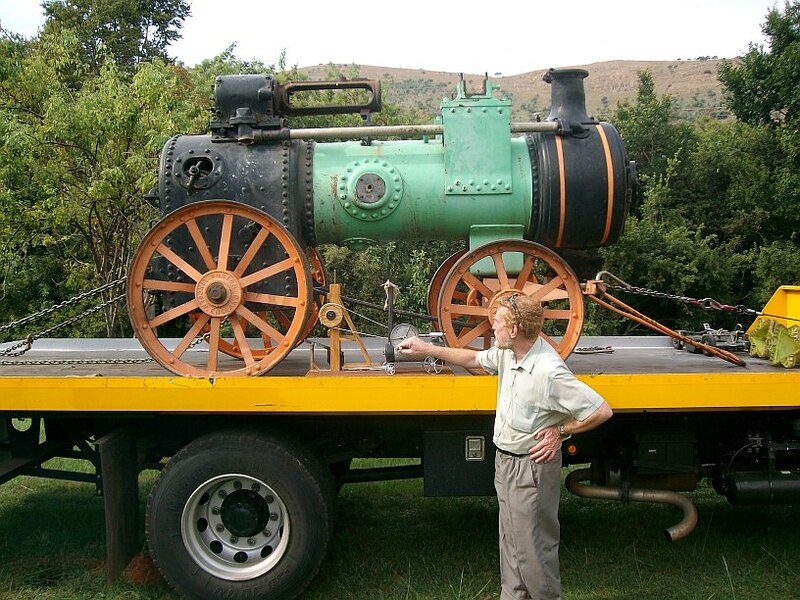 The steam engine in the background was donated by the Transport Museum of Johannesburg and kindly moved to the site by the AA. FroK extended the fencing to include the steam engine. 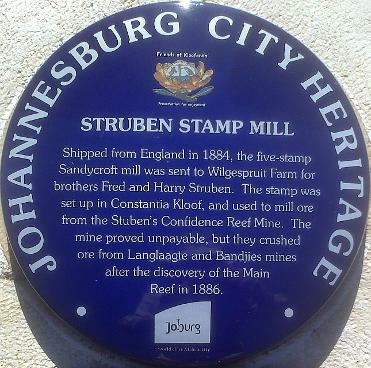 The Sandy Croft Stamp mill on the left was most probably the one that was was brought in by Harry & Fred Struben from England in December 1884 and it came to stand on the bank of the stream adjacent to the present Christiaan de Wet Road, where it crushed gold bearing rock mined by the Struben brothers initially and later on rock from other mines as well. The construction of Christiaan de Wet Road would have destroyed the mill as it stood in the way of the construction. 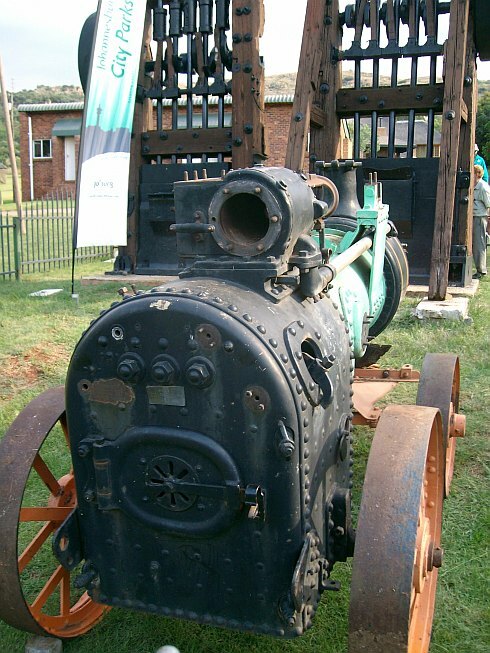 Luckily Elizabeth Viljoen, curator of the Roodepoort Museum at the time, had the Stamp mill moved to corner Goldman and Seventh Streets, Florida where it has been standing for many years. The mills were refurbished by Johannesburg's Department of Arts, Culture and Heritage in 2006. 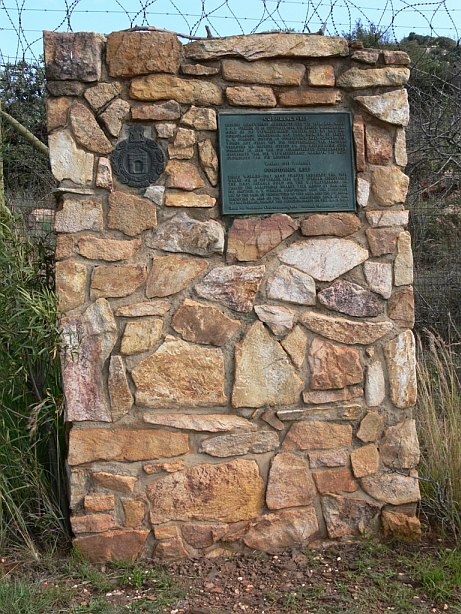 "To the memory of Fred and Harry Struben, who by their brotherly co-operation during a period of arduous work discovered and proved the gold-bearing conglomerates of the Witwatersrand, September 1884. 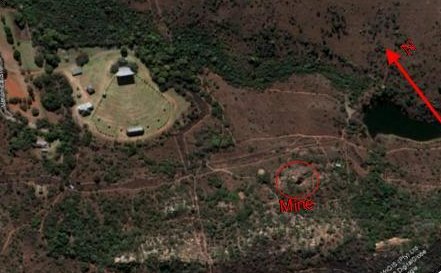 The first public information of discovery was made to the President of the Transvaal Republic and the world, January 5 1885." 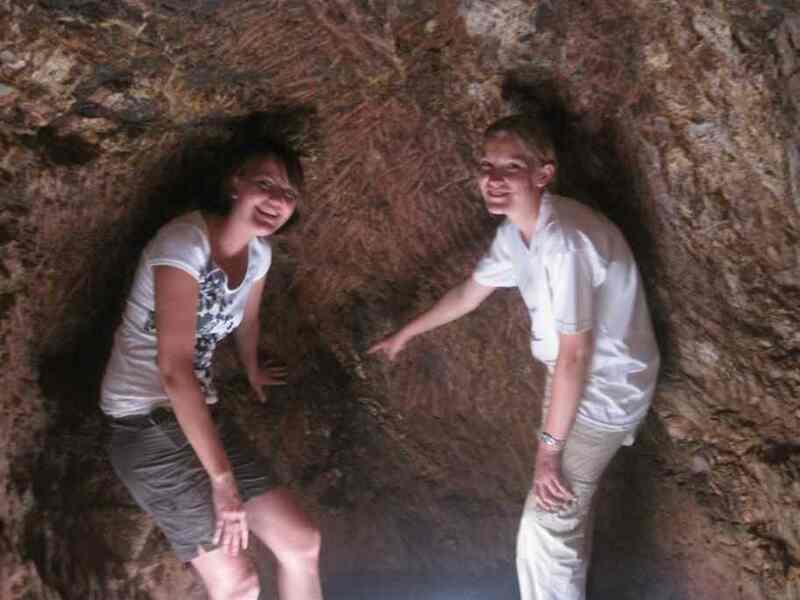 The site can be found at 27.88203 East & 26.13581 South and is a few metres off the Rocky Ridge path.